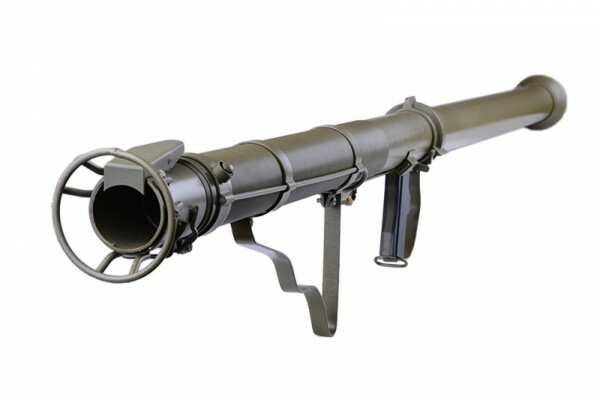 A replica of a classic anti-armor USA grenade launcher from the WWII period: a bazooka in perfected M9A1 version. 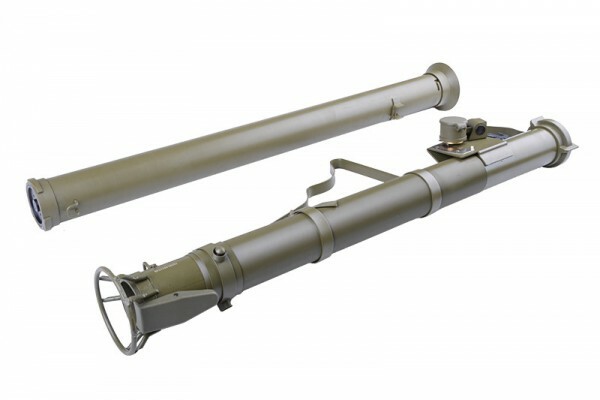 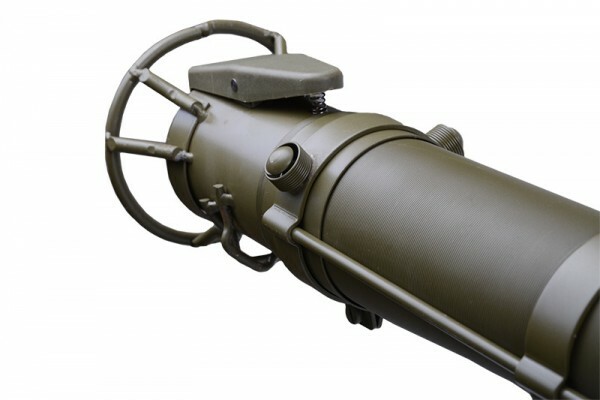 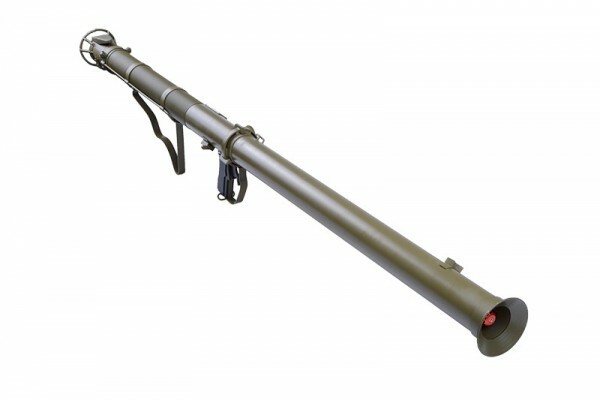 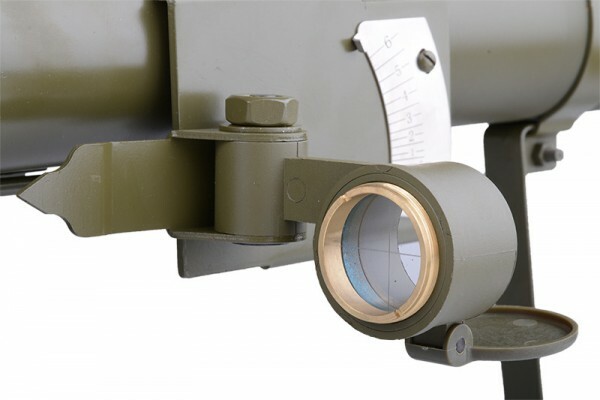 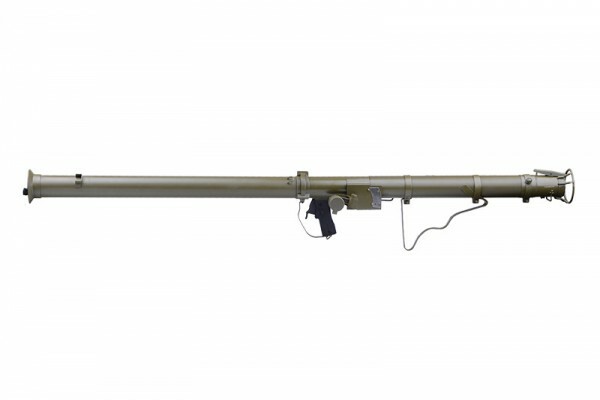 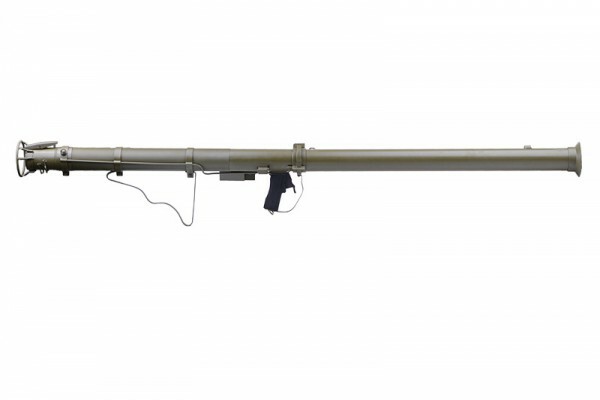 The grenade launcher comprises of 2 775mm sections, which can be rapidly connected into a 1550mm launcher. 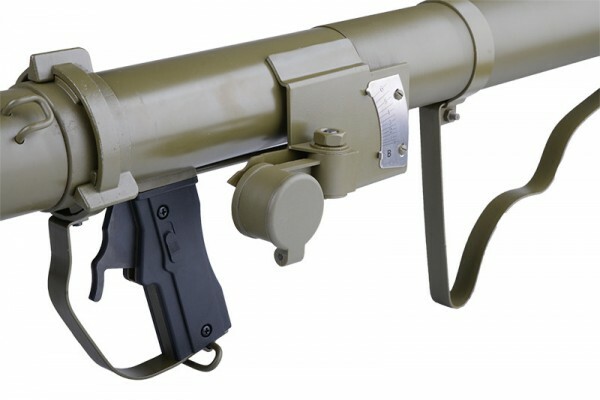 All elements except the pistol grip and optic sight have been made from metal, which give the replica an extra dose of authenticity. 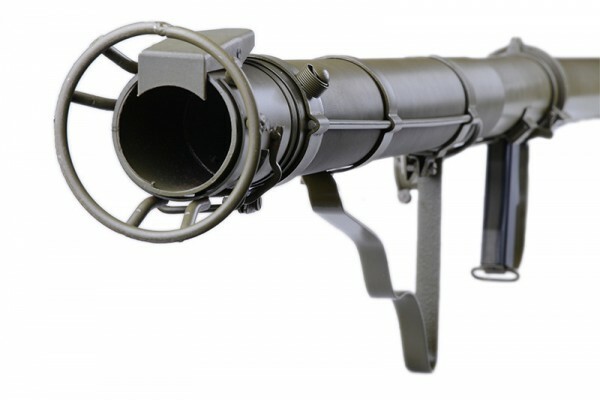 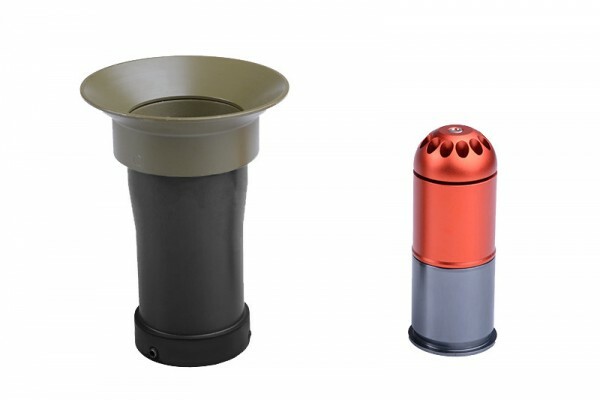 It is powered by a standard 40mm grenade (included) placed in a tip mounted on the muzzle of the launcher.